The timeless and unique “Lady Dior” bag is a work of art imbued with Dior Couture Spirit. 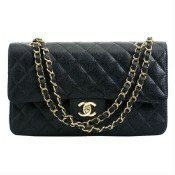 Beautiful Glossy Black quilted patent leather bag is adorned with Dior signature “Cannage” stitching. Zip lock opens one compartment with one zipped pocket. Jewellery “D.i.o.r” letters are in silver metal. Can be carried in the hand or worn on the wrist. Also come with strap to be worn on your shoulder. 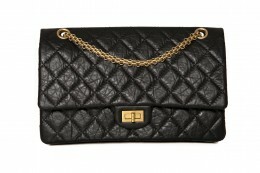 Iconic and timeless Lady Dior bag is “must have” for every girl. Deposit required. Product Attributes: Black, Bottom Feet, Christian Dior, Detachable Strap, Dior, Glossy, Iconic, Lady Dior, Leather, Metal, Patent Leather, Shiny, Silver, Strap, Timeless, Top Handle..